Pittsburgh Steelers linebacker Ryan Shazier scoops up this interception from a tipped pass. 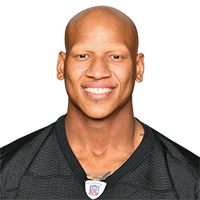 Published: Oct. 8, 2017 at 02:37 p.m.
Pittsburgh Steelers linebacker Ryan Shazier rips and returns interception versus the Jacksonville Jaguars in Week 5. Published: Oct. 2, 2017 at 01:48 p.m.
Pittsburgh Steelers linebacker Ryan Shazier intercepts Baltimore Ravens quarterback Joe Flacco. Published: Oct. 1, 2017 at 04:09 p.m.
Pittsburgh Steelers lineback Ryan Shazier tips a Joe Flacco pass attempt, Mike Hilton intercepts it.